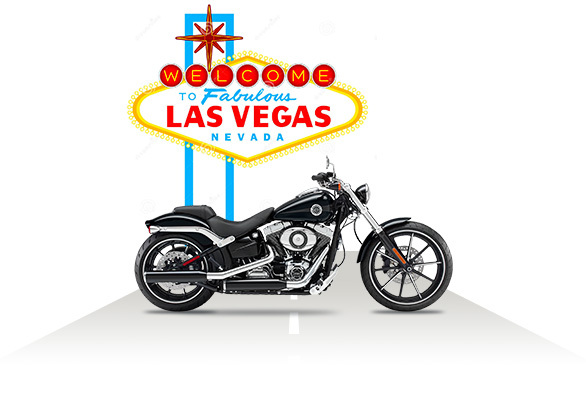 When Las Vegas Harley-Davidson needed a website overhaul, we approached the job the same way Harley would build a bike: with a scientific, yet artful eye for detail. One thing was clear from the outset: LVHD would benefit from a more clearly defined digital strategy. One that would reduce cart abandonment, better blend the dealer’s various social accounts and reduce technical errors plaguing the site. LVHD needed a solid social strategy as well as a site that was responsive and easy to navigate. One that, much like a Harley, would be a snap to maintain while running like a dream. First, Noble developed a playbook that provided LVHD with a clear road map leading to a more cohesive digital strategy and – in turn – more buyer conversions. With the playbook approved, we provided LVHD with a high-level view of its current digital marketing efforts to show how visitors interacted with the existing site. We then dug in deep. We performed assessments of LVHD’s online reputation along with audience research and heatmapping studies. We took a close look at their analytics and developed a comprehensive plan to improve LVHD’s search rankings. Crucially, we identified and fixed errors such as bad links and duplicate pages that equated to missed sales opportunities. The new site gave LVHD a fresh, bold new look that better reflected its prime location on the Las Vegas strip. 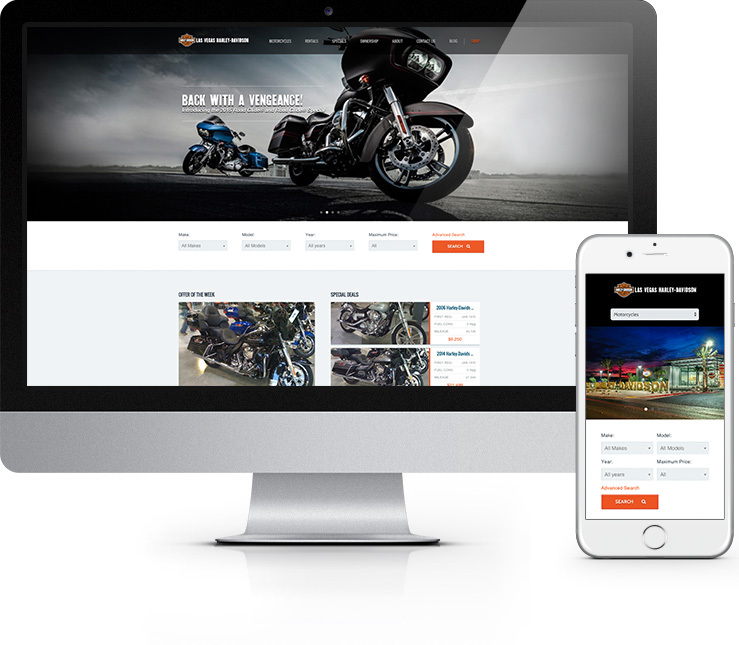 Built on WordPress, a custom API shows dealer inventory integrated with CycleTrader.com. Fully responsive, the site now visually aligns with that of the national brand. In the new UX, users are able to get to important information – details like rental inventory, service requests and merchandise – as quickly as possible. The site targets shoppers and current owners alike, so making the site responsive gave these audiences access to the information they needed on the fly. From a brand standpoint, we developed a consistent identity and voice that would be shared across all of LVHD’s social accounts. We also empowered the LVHD team to take its social posting in-house, giving them more control over messaging. This was a major step in achieving the consistency its social voice needed while increasing leads and conversions. With organic traffic to the LVHD site on the rise, the dealer has also seen a jump in referrals, which are up 309 percent year over year. Mobile traffic has risen 973 percent, a testament to the UX/UI of the newly responsive mobile site. To fully empower the LVHD team, Noble set them up with a customized analytics dashboard, allowing stakeholders to keep their finger on the pulse of the site in real-time. This, combined with a WordPress CMS, allows the team to easily make adjustments to copy and other assets as needed to maximize results.